Check out these dining room designs for small spaces. These are designed to use the available space in the most efficient way possible. They are total space savers and apt for small homes and flats. 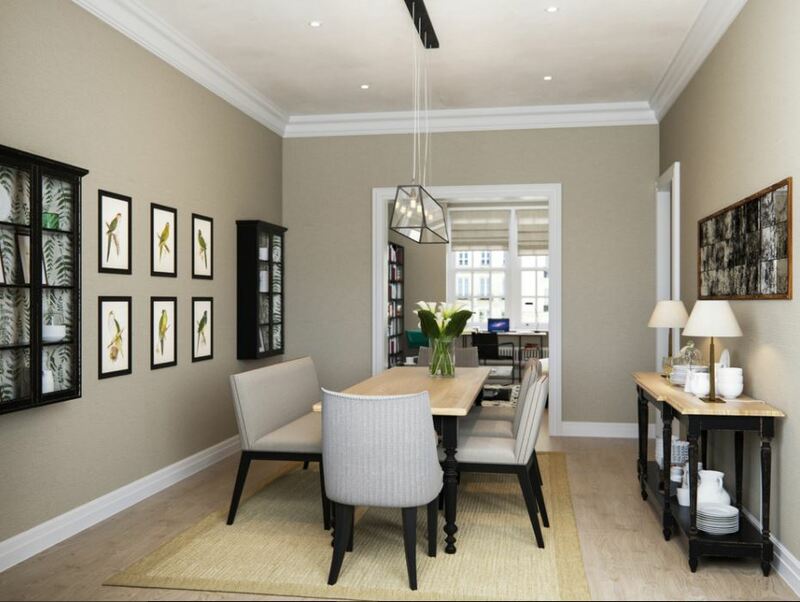 Take a look at our interesting ideas on dining room designs for small spaces. 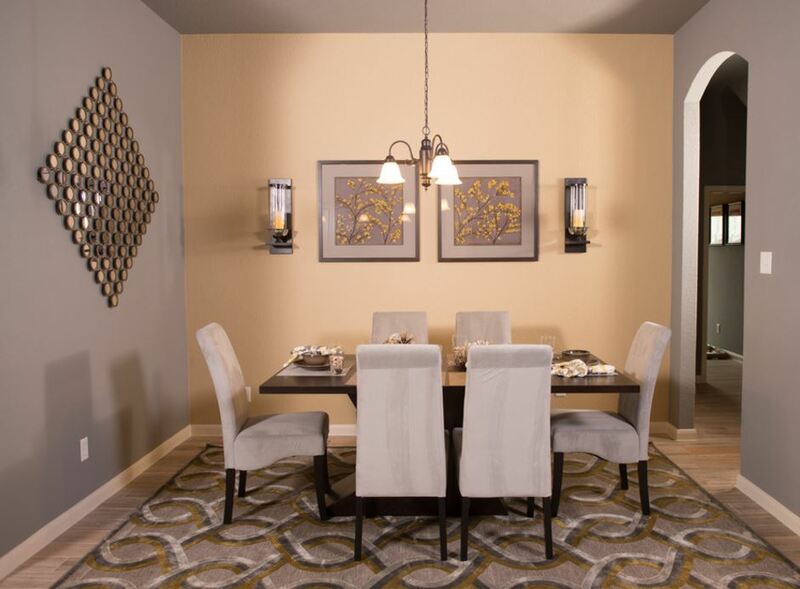 Take a look at this beautiful dining room in beige color. 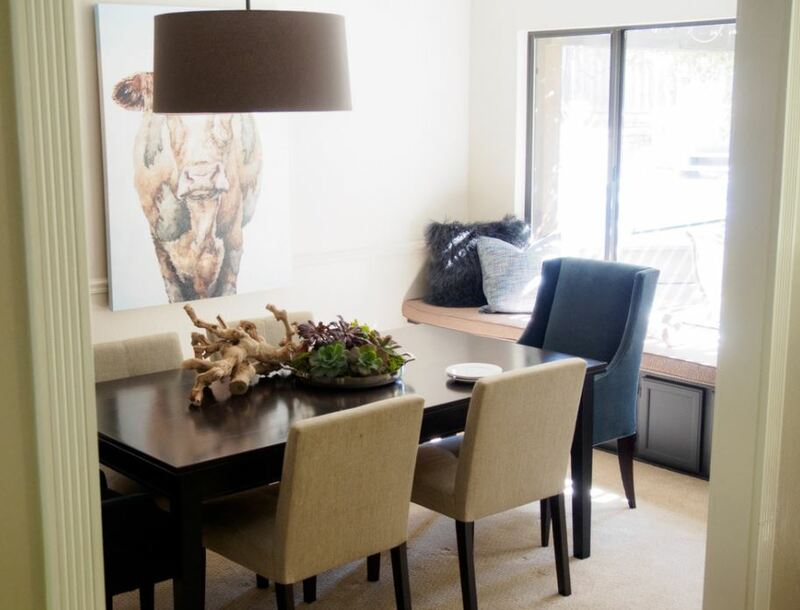 Go for a long rectangular dining table if the area is narrow. Create a photo gallery to make it a bit interesting. Check out these dining room designs for small spaces. Use carpet to make the small dining hall warm and cozy. Design an accent wall by putting up couple of pictures and light sconces. I love this small dining room and the way it is decorated. The dining table with a nice flower centerpiece looks all set for dinner. Give your ceiling a nice treatment and hang a pendant light in the center. The round black table and white upholstered chairs fits perfectly into this tiny space. Turn the space beside your kitchen into your dining room. 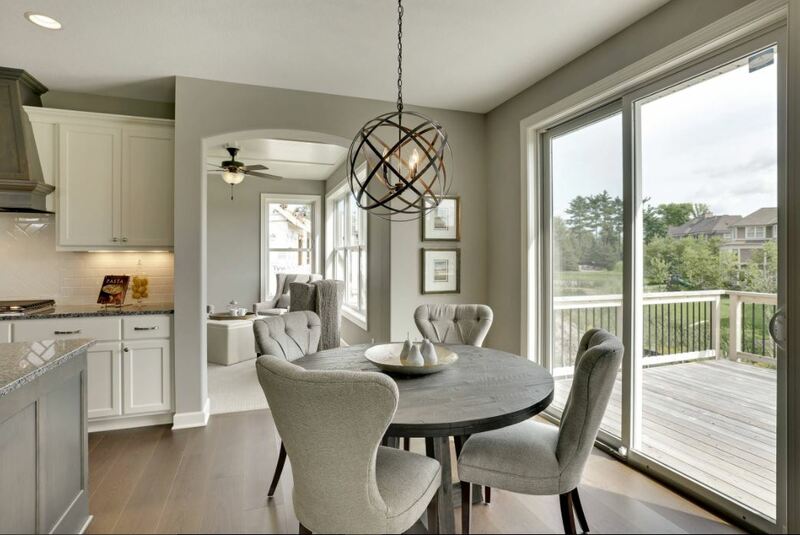 Use grey and white color to design your dining room. Add French doors to bring in lots of light and air into the room. Keep things to minimal to get this neat look. 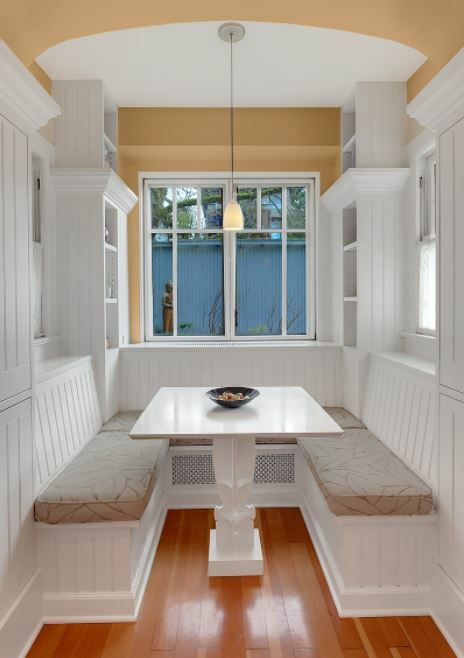 Create some extra seating in your dining room designs for small spaces with a window seat. You can add a few cabinets underneath it for storage. A leggy round glass dining table fits into this small area in perfection. Make a nice buffet on one side for storing your chinaware. Take the decor to the next level by adding a painting and a chandelier. 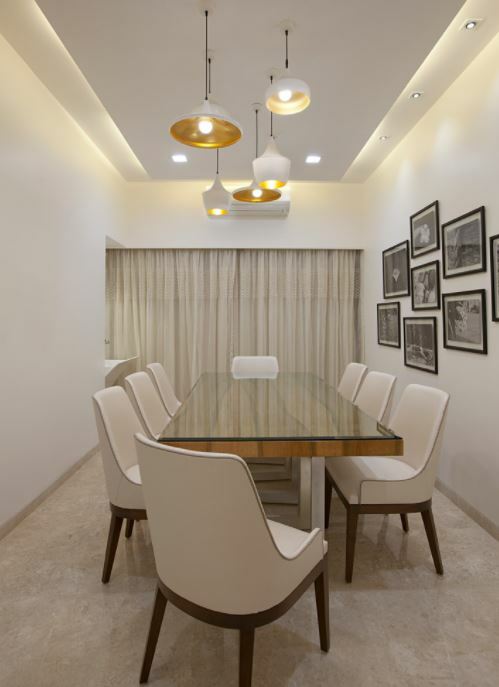 Design a functional dining room by adding smart furniture to it. 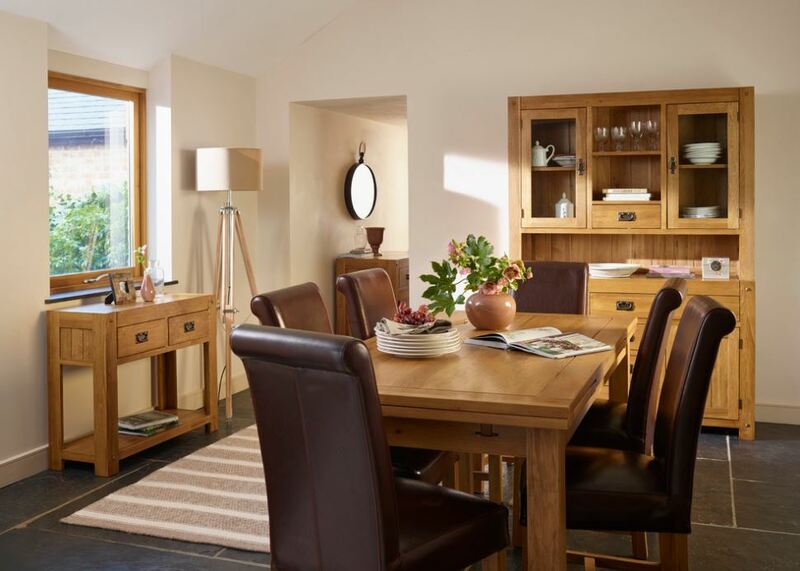 This dining room has a crockery unit and a buffet table to make storage easy. Get useful ideas on dining room designs for small spaces. 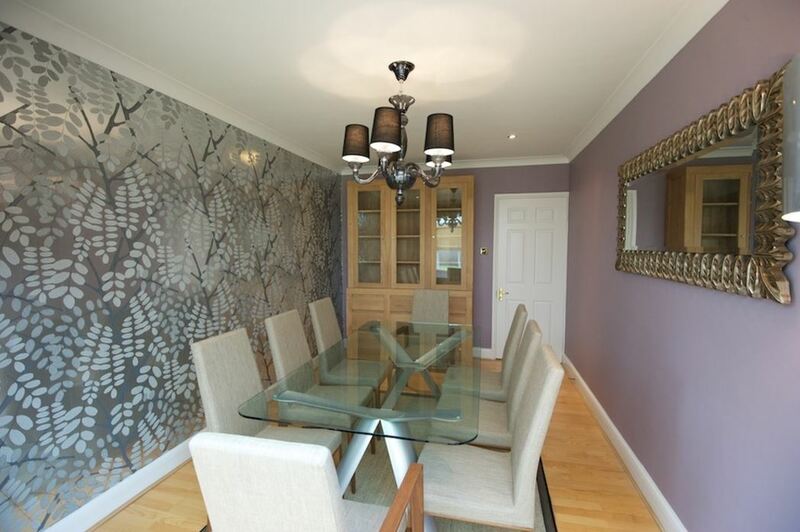 Check out this beautifully decorated dining room with a photo collage on one and a photo gallery on the other side. 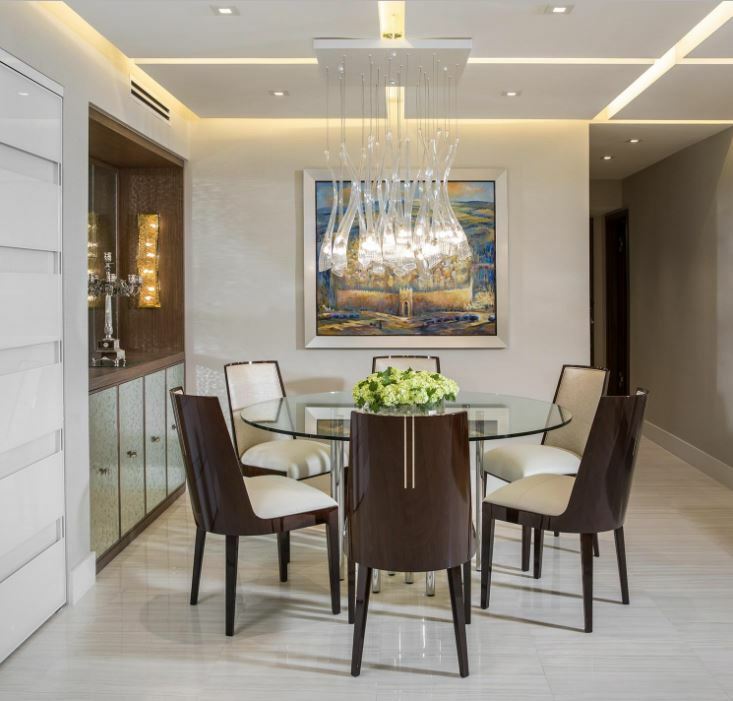 A splashy artwork, couple of dazzling chandelier and a glossy dining table can easily make up your small dining room. While the sliding glass doors let in lots of fresh air and light. These are really cool dining room designs for small spaces. 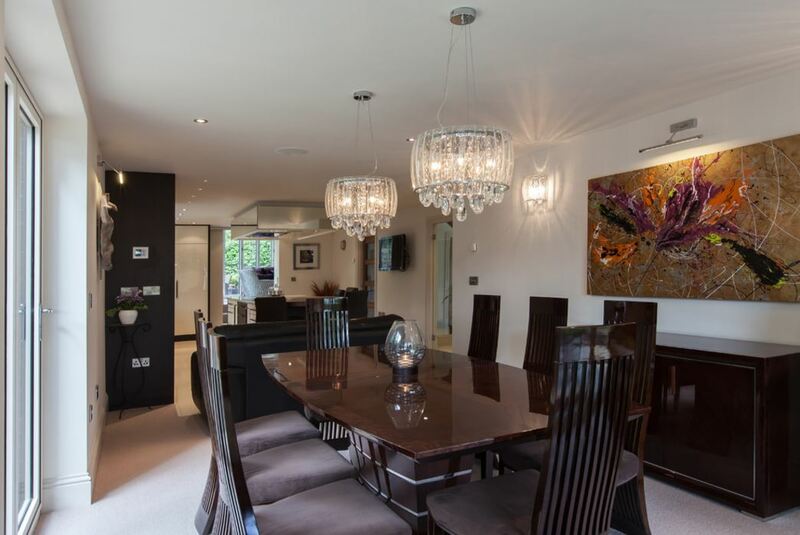 Use of sliding doors to save space and mirror to create an illusion of more space seems as a very clever idea. Go for an accent side wall and leggy furniture. Corner space is the coziest one wherein you can put your dining table and enjoy delectable meals with your family. I love the beige color walls and matching wooden floor. 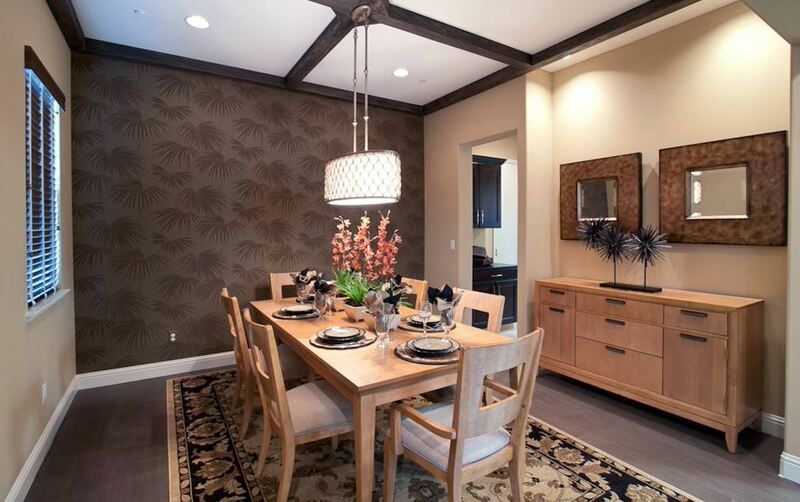 Go for a dark wood dining table to get this look. The dining space divides the living room and the kitchen. 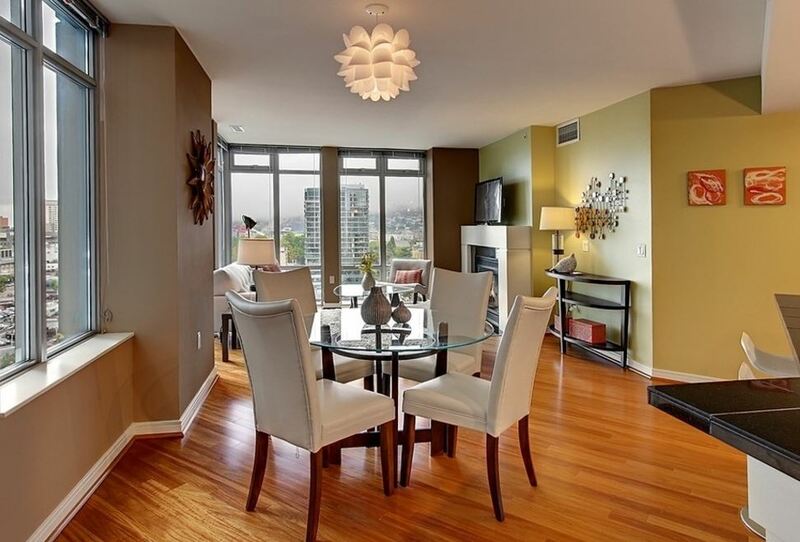 The area is narrow and small; hence you can’t go for a huge dining table. So, settle with a round glass table to make the most out of it. 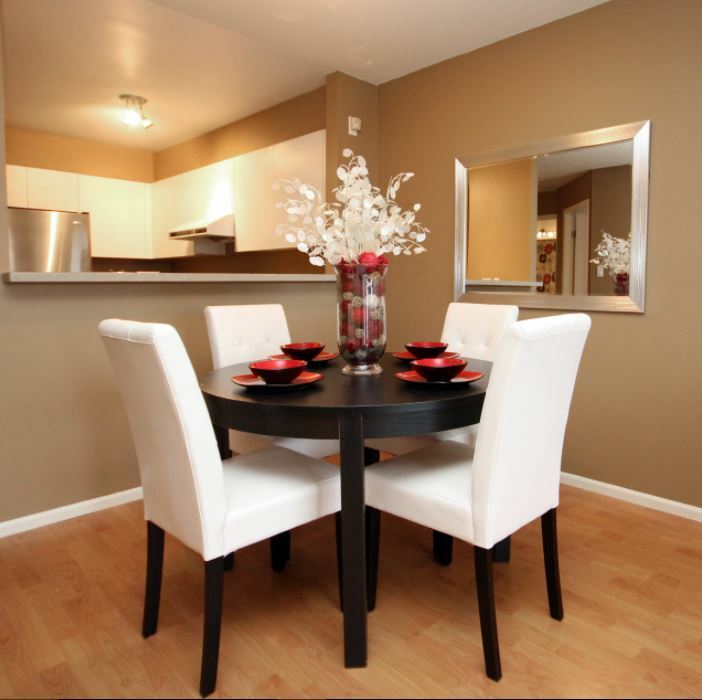 Glass dining tables are the best if you are dealing with small space. Use wallpaper to create visual distraction. Add some cupboards to get some storage space for your crockery and cutlery. Go for customized furniture for full optimization of small space. Add benches instead of chairs and a small table in the center. This entry was posted in Dining Room, Dining Room Designs and tagged Casual Dining Room Ideas, Dining Room, Dining Room Decor Ideas, Dining Room Decorating Ideas, Dining Room Decorating Ideas on a Budget, Dining Room Design, Dining Room Designs, Dining Room Designs for Small Space, Dining Room Designs for Small Spaces, Dining Room Designs India, Dining Room for Small Spaces, Dining Room Ideas, Dining Room Ideas Pinterest, Dining Room Pictures for Walls, Dining Room Wall Decor, How to Decorate Dining Table When Not in Use, Indian Dining Room Designs, Indian Dining Room Interior Design Pictures, Modern Dining Room Ideas, Small Dining Room Designs India by Homemakeover. Bookmark the permalink.